There are hurting people everywhere. As Christians, it can be tempting to think that care should be left up to those who are more "qualified" pastors, leaders, or counselors. But in this book, experienced biblical counselor Edward T. Welch encourages readers to see that anyone who has trusted in Jesus is equipped to care for others, even--or maybe especially--those who feel weak and needy themselves. 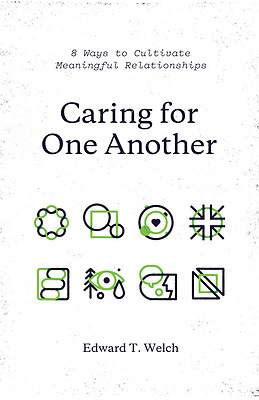 With discussion questions and short chapters meant to be read with others, Welch guides individuals and small groups through 8 lessons aimed at helping ordinary Christians create a community where people are free to be open, admit weakness, ask for help, and bear one another's burdens--a community that cares for each other in times of trouble.